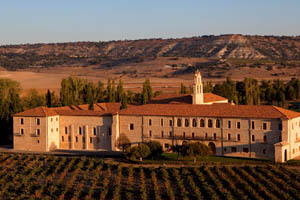 Abadia Retuerta Le Domaine has opened in Valladolid, Spain. The former medieval Abbey has been relaunched as a contemporary, 22-room hotel following an extensive restoration. The property offers a restaurant in the former refectory, while the adjoining church has been turned into a meeting space for 200 delegates. There are additional four meetings rooms for between 20 and 24 delegates.